We have an exciting opportunity for a General Practitioner who is looking to relocate to the stunning Bay of Plenty region on the North Island of New Zealand. The Bay of Plenty’s Oceanside location and temperate climate make it an extremely desirable place to live and work. The area is truly distinctive, offering golden beaches, bush clad mountains and lush farmlands, and encompassing a diverse range of rural and urban communities. Tauranga City is currently the firth largest city in New Zealand and is growing rapidly. 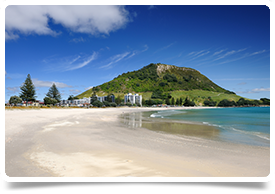 Tauranga is also one of the top spots for New Zealanders to holiday in New Zealand. It has an array of cafes, restaurants and shops as well as a beautiful beach and naturally heated salt water pools. You’ll find plenty to keep you occupied in the outdoors with dolphin tours, boat trips, big game fishing and more.